During the conference Skyharbour’s President and CEO, Jordan Trimble, will be part of the “Uranium: A New Bull Market Panel” on Sunday January 21st at 1:00pm in Workshop 4 discussing the uranium market moderated by Michael Alkin, Founder & Director of Research at The Stock Catalyst Report. 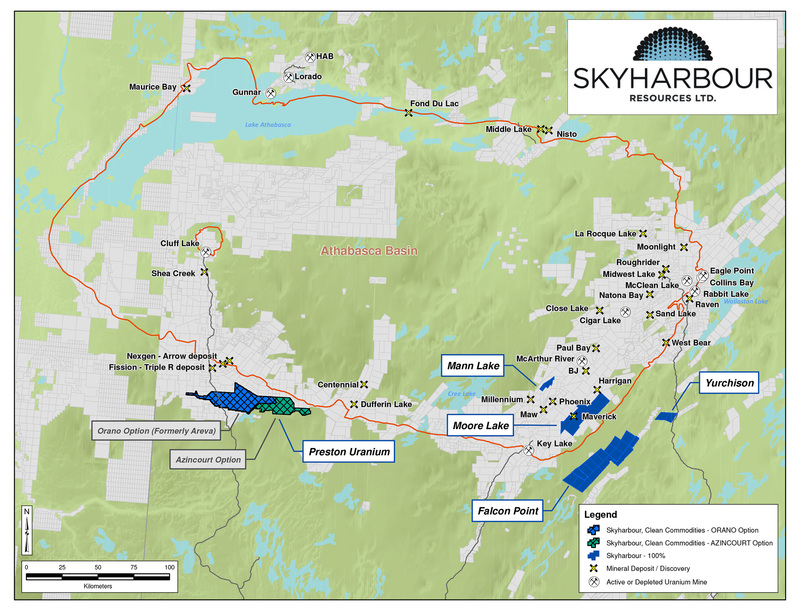 Mr. Trimble will also be giving a Skyharbour corporate presentation on Monday, January 22nd at 11:30am in Workshop 2. After a nine year bear market in the uranium market, and a volatile last few years, the market appears to have turned the corner. Last year there were significant supply-side developments consisting of production cuts by major uranium producers including Cameco's announcement to suspend production at its McArthur River Mine, the world's largest producing uranium mine, for at least ten months starting this month, which is expected to cut approximately 15-18 million pounds of U3O8 in 2018. The world’s largest producer Kazatomprom then announced an additional production cut of approximately 28.6 million pounds of U3O8 over the next three years, adding to the 10% cut it had announced early in 2017. Uranium demand is forecast by the World Nuclear Association to increase steadily to 2030 and beyond. There are estimated to be just under 60 nuclear reactors under construction, and hundreds of more nuclear reactors planned or proposed to be constructed worldwide, with China leading the charge. Furthermore, Japan is restarting its reactors with its recently reelected pro-nuclear government led by Shinzo Abe. With the increasing demand, the recently announced production cuts from major producers, as well as the uranium spot price currently trading below the average global all-in cost of production, the Ux Consulting Company has changed their uranium market forecast from one of supply surplus to supply deficit in 2018.